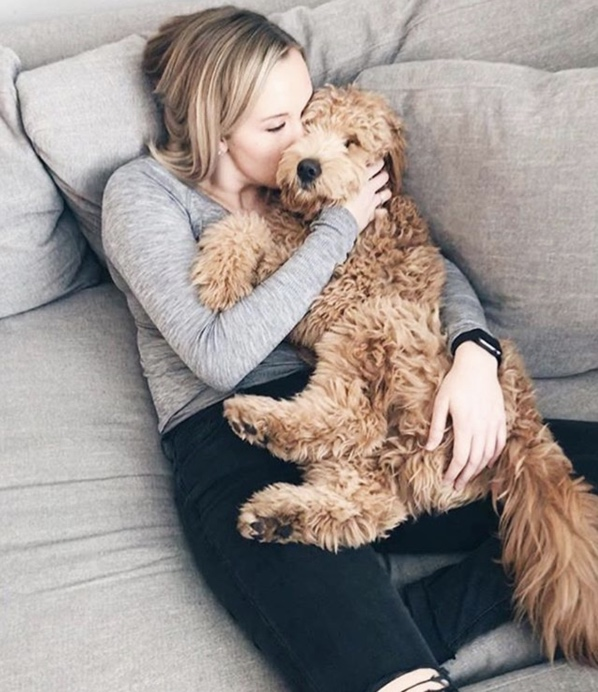 Opie is my boyfriend (Brandon) and my first dog together and we knew we wanted a goldendoodle for awhile. We had to wait until Brandon came home/graduated from the State Highway Patrol Academy in September before we could finally get him. He has been such an amazing side kick and best friend that keeps me safe and comforted while Brandon is now working the night shift as a state trooper. We love him so much and never imagined having a dog would change our life as much as he has!" "Our life before Opie is not one I would want to go back to 😂 - although, we did use a lot less paper towels!!!!"